The Deeper State is about the elites, their secret societies, world power centers and evil motivations behind the chaotic contemporary world pressing all life toward a final one world empire ... 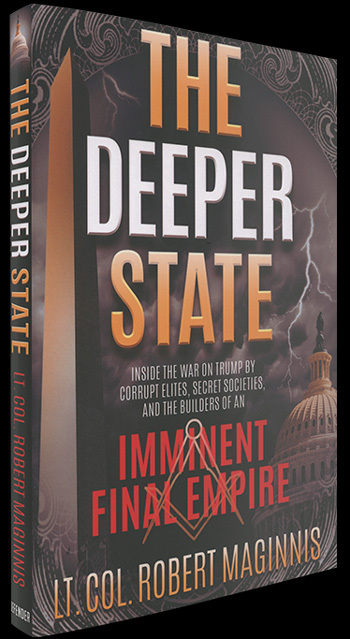 Deep State is a term that has recently come into vogue to describe the forces in Washington and around the country that are rallying to overturn the election of President Trump. But there is far more to this organized resistance. There is an even 'deeper state' that must be exposed to fully understand the imminent danger. The Deeper State Discloses For the First Time: 1) Behind the scenes super elites who promote a false panacea through promises of globalization. 2) How globalists are taking over the world's power centers. 3) The instruments of global power and the secret hands of the globe's evil puppet masters. 4) The history of the world's super class. 5) The marriage of modern globalism and progressivism with deep roots in Marxism and Darwinism. The spiritual aspects of an invisible war and its Achilles heel.